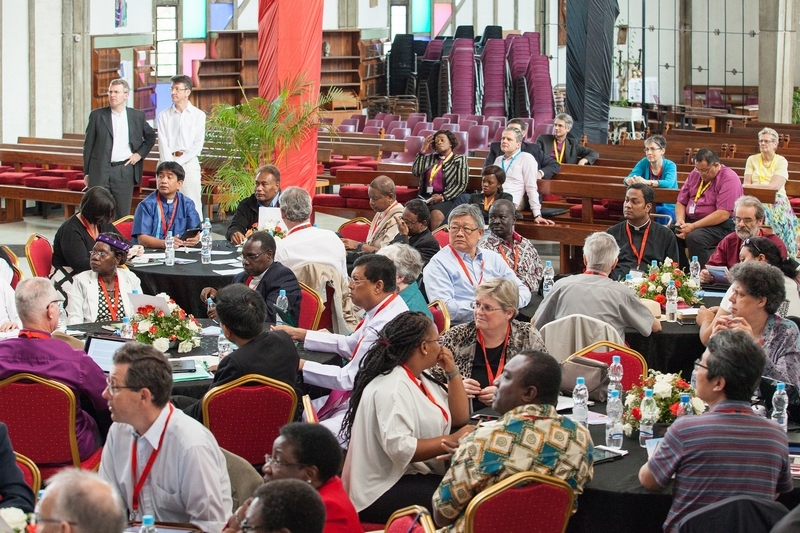 The Anglican-Roman Catholic International Commission (ARCIC) is the official body appointed by the Roman Catholic Church and the Anglican Communion to engage in theological dialogue in order that they may come into visible unity and full ecclesial communion. 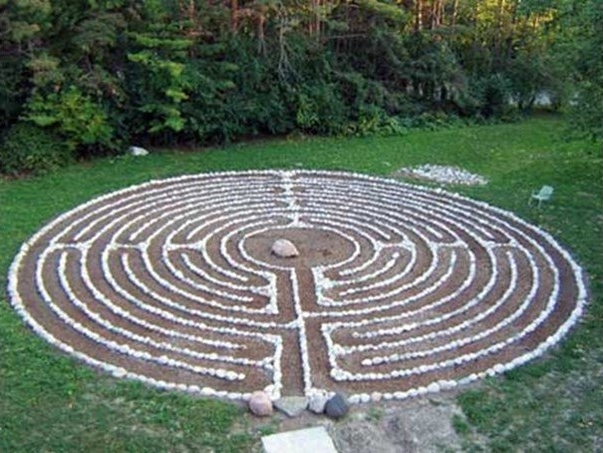 It held the sixth meeting of its current phase (ARCIC III) in an atmosphere of shared prayer and friendship at the St John’s Convent, Toronto, hosted by the Anglican order of the Sisters of St John the Divine, 11–19 May 2016. Members of the Commission are grateful to the Sisters of St John the Divine for their prayerful support throughout the meeting, and to the guest house team for the warm welcome extended to them. Anglican and Catholic theologians, meeting in Toronto, Canada this week, have agreed on the publication of their first ARCIC III document on the theme “Towards a Church fully reconciled”. The volume, which is likely to be published in the autumn, uses the ‘Receptive Ecumenism’ approach to look at the limitations within each communion and see how one Church can help the other grow towards the fullness of faith. The third Anglican-Roman Catholic International Commission (ARCIC III) is holding its sixth annual meeting from May 11th to 19th, hosted by the Anglican sisters of St John the Divine in Toronto. 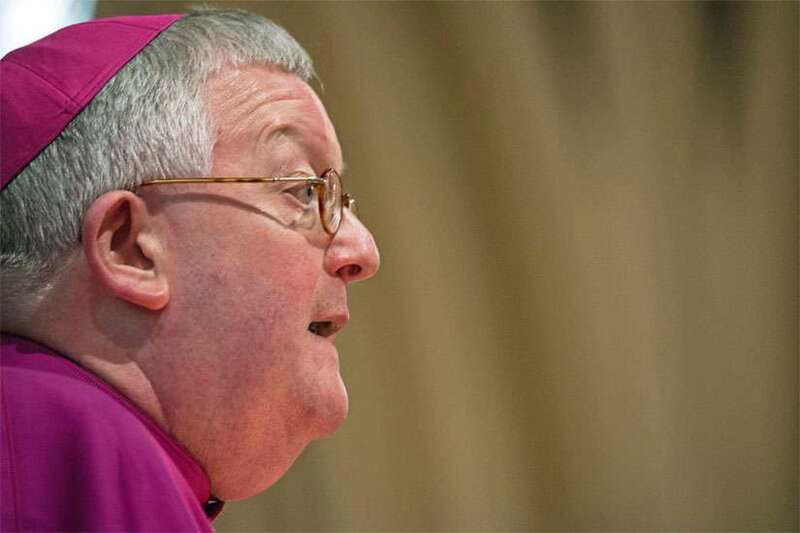 The 18 members of the Commission have completed work on the first part of their mandate, exploring tensions between the local and Universal Church within the two communions, and are continuing discussions on a second volume, looking at how Anglicans and Catholics make difficult moral and ethical decisions. 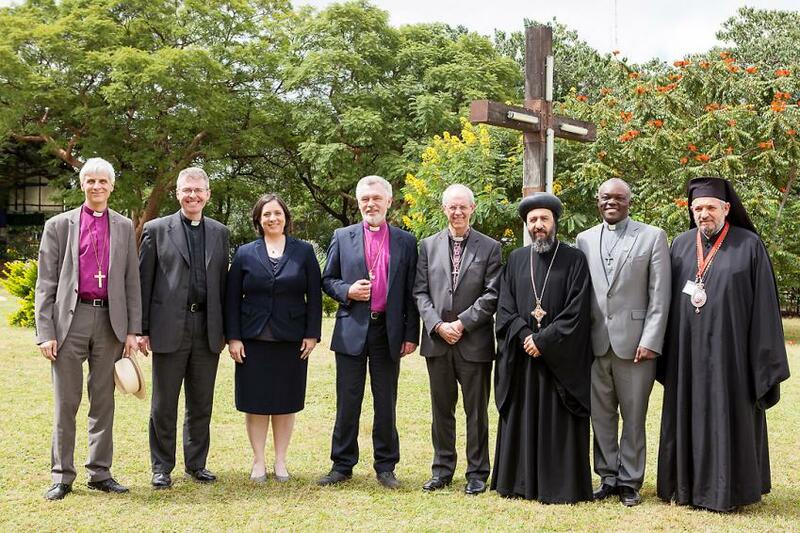 Affirmation of the Lutheran-Catholic agreement on justification and a call for Anglicans to commemorate the 2017 Reformation anniversary were among ecumenical resolutions adopted by the Anglican Consultative Council (ACC) at its recent meeting in Lusaka, Zambia. Bishop Dr Matti Repo of Tampere, Finland, who participated in the Anglican Communion’s governing body meeting in Lusaka, Zambia, mid-April says he was encouraged by the enthusiastic discussions on these issues “which both point to the grace of God and the free gift of salvation in Jesus Christ.” Repo was at the ACC as an ecumenical guest representing The Lutheran World Federation (LWF). He presented the call to affirm the substance of the Joint Declaration on the Doctrine of Justification (JDDJ), which was signed by the LWF and the Roman Catholic Church in 1999. The LWF was also asking Anglicans to recognize the significance of the 500th anniversary of the Reformation which will be observed next year. Catholic and Anglican theologians have been meeting together near Rome to discuss ordination rites within the two communions, as well as the significant ecumenical implications of Pope Francis‘ recent document ‘Amoris Laetitia’. A meeting of the Malines Conversation group took place from April 17th to 22nd at Rocca di Papa, south of Rome, culminating in an ecumenical evensong celebrated by Archbishop Arthur Roche of the Congregation for Divine Worship. 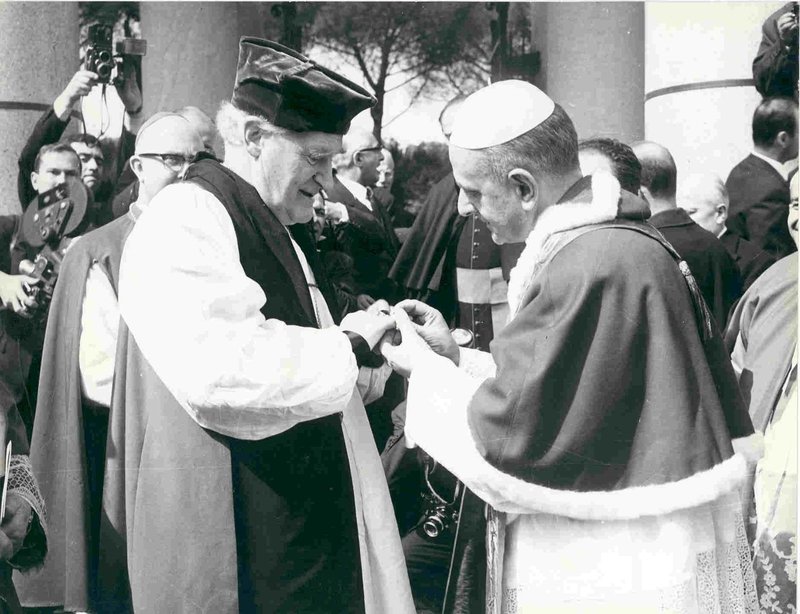 A communique issued after the encounter said the theologians from seven different countries discussed “contemporary and historic ordination rites” and the developments that have taken place in both communions since Pope Leo XIII declared Anglican orders to be “null and void”. A call for Anglicans to commemorate next year’s 500th anniversary of the Reformation and the commendation of a number of new inter-denominational agreements and reports were amongst a raft of ecumenical resolutions adopted by the Anglican Consultative Council when they met in Lusaka, Zambia, earlier this month. In Resolution 16.16, the ACC spoke of the “significance” of the 500th anniversary of the Reformation, and recommended that Anglicans should mark the anniversary by taking part in shared services, study, and mission activities with Lutherans and other ecumenical partners. The ACC also encouraged Anglicans to “engage with the Lutheran World Federation’s focus: Liberated by God’s Grace”. 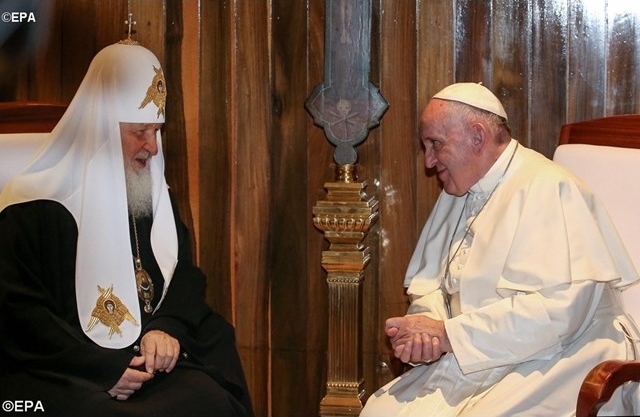 In a separate resolution – 16.17 – the ACC said that it “welcomes and affirms the substance” of the joint Lutheran and Roman Catholic Declaration on the Doctrine of Justification, which the two churches signed in 1999. Father Tony Currer, officer responsible for Anglican Relations at the Pontifical Council for Promoting Christian Unity (PCPCU), brought a message of greeting to all the participants of the 16th Anglican Consultative Council Meeting, in Lusaka (8 to 19 April) from His Eminence Cardinal Kurt Koch, President of the PCPCU. 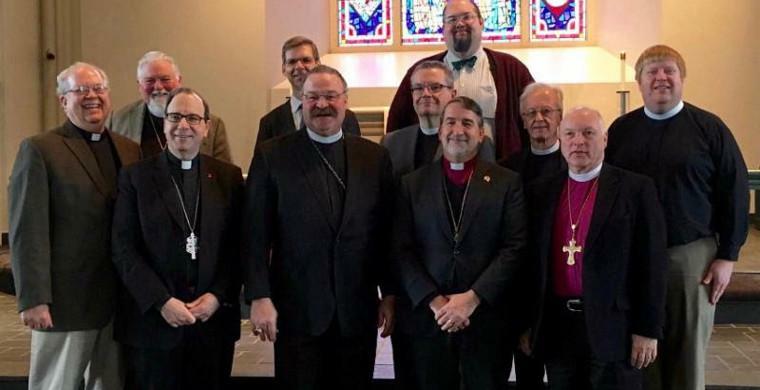 Participants in the Anglican Church in North America (ACNA), The Lutheran Church-Missouri Synod (LCMS), and Lutheran Church-Canada’s (LCC) ongoing ecumenical dialogue have released an interim report on their work so far. Entitled “On Closer Acquaintance,” the document is the culmination of six years of regular discussions between the three church bodies, and highlights the discovery of significant doctrinal agreement between the Anglican and Lutheran participants. 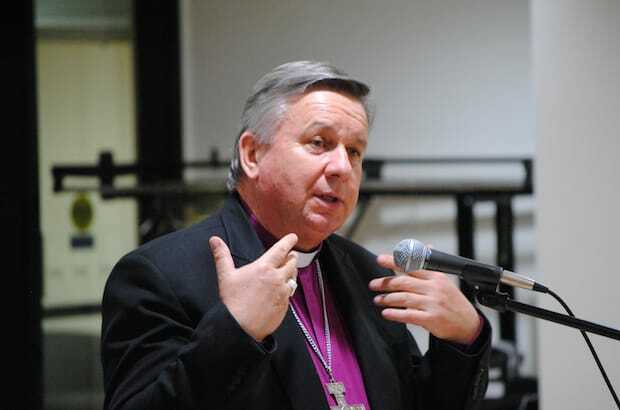 Anglican Bishop Kenneth Kearon used the image of constructing a barn to reflect upon the ecumenical movement during this year’s De Margerie Series on Christian Reconciliation and Unity, held in conjunction with the Week of Prayer for Christian Unity in Saskatoon. Dr. Terry Downey, president of St. Thomas More College opened the public lecture at STM with words of welcome. Held in conjunction with the Week of Prayer for Christian Unity, the De Margerie series is jointly sponsored by STM, the Prairie Centre for Ecumenism, and the Roman Catholic Diocese of Saskatoon. This year’s lecture was available for the first time on live-streamed video (and is now posted on the diocese’s YouTube channel). Nicholas Jesson, ecumenical officer for the Roman Catholic Diocese of Saskatoon, noted that the De Margerie series is named for local ecumenical pioneer, Rev. Bernard de Margerie, one of the founders of the Prairie Centre for Ecumenism in Saskatoon and its first director. De Margerie is also the author of In God’s Reconciling Grace, a book of prayers about Christian unity, reflecting his conviction that prayer and conversion must be at the heart of the ecumenical movement.